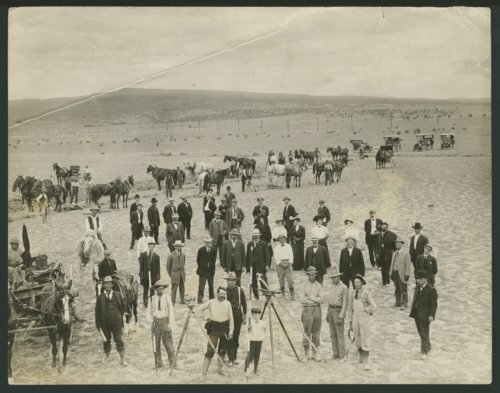 This is a photograph showing surveyors, teams of horses, automobiles, and a group of unidentified people. The photograph was taken, possibly, in Seward County, Kansas. It appears one of the teams is hooked to a plow. This group may have been involved in the construction of canals across southwest Kansas.